This is the first time we've seen the refreshed A-Team van in person. Is it as fantastic as we had hoped? Of course. Don't you love it when an auto-show plan comes together? 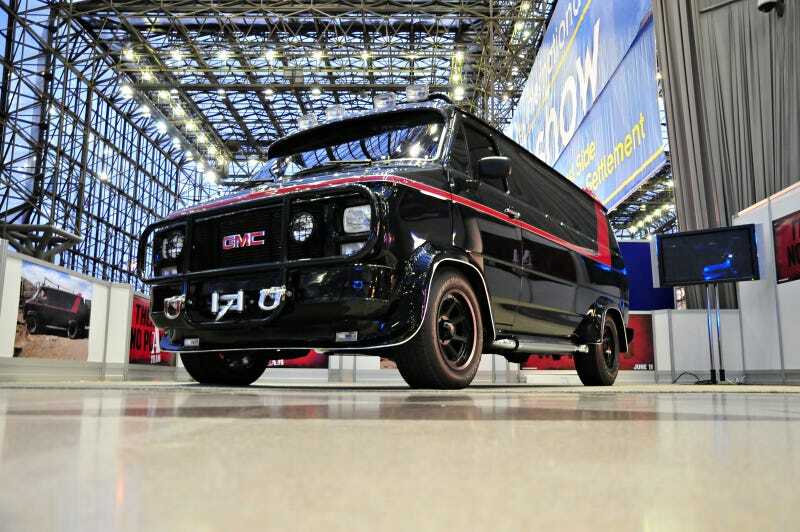 First A-Team Trailer: Yes, It&apos;s The Same Ol&apos; GMC Van! Yeah, so it's promoting the upcoming A-Team movie and not the epic 1980s TV show. We don't care. We ain't gettin' on no plane. We gettin' in a van. This van. Murdock: I wish I could just jump in the water and live like a fish. B.A. Baracus: Shut up fool, you ain't no fish!